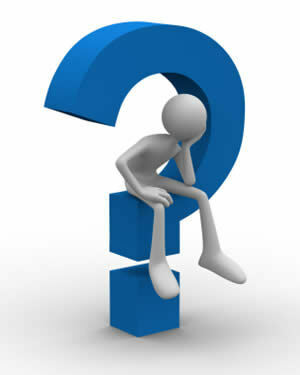 I have recently run into a client’s situation that I thought bared discussion. Owners of a C Corp left profits in the corporation and did not distribute to themselves personally and it was a challenge qualifying them for a mortgage. There are different types of self-employed entities that someone may set up and in the mortgage lender’s eyes they are analyzed differently though a single theme is present throughout. If you don’t report the income to the IRS, we cannot use it. 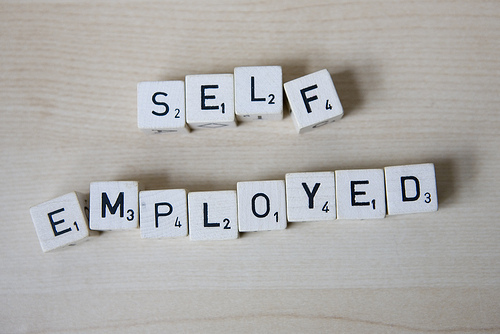 Any individual who has a 25% or greater ownership interest in a business is considered to be self-employed. Lenders will require personal and business tax returns (if ownership is greater than 25%) to qualify a borrower in any of these types of entities. A sole proprietorship is an unincorporated business that is individually owned and managed. The individual owner has unlimited personal liability for all debts of the business. The income, expenses, and taxable profits of a sole proprietorship are reported on the owner’s IRS Form 1040, Schedule C, and are taxed at the tax rates that apply to individuals. • General Partnership – Under a general partnership, each partner has responsibility for running the business, is personally liable for the debts of the entire business, and is responsible for the actions of every other partner (unless otherwise specified in the partnership agreement). • Limited Partnership – Under a limited partnership, a limited partner has limited liability based on the amount he or she invested in the partnership, does not typically participate in the management and operation of the business, and has limited decision-making ability. Because limited partnerships often are formed as tax shelters, it is more likely that IRS Form 1065, Schedule K-1, will reflect a loss instead of income. The LLC must report its profit or loss on IRS Form 1065 and each member-owner’s share of the profit or loss on IRS Form 1065, Schedule K-1; however, the LLC pays no tax on its income. Each member-owner uses the information from Schedule K-1 to report his or her share of the LLC’s net profit or loss (and special deductions and credits) on his or her individual IRS Form 1040, whether or not the member-owner receives a cash distribution from the LLC. Individual member-owners pay taxes on their proportionate share of the LLC’s net income at their individual tax rates. Because this income from the distribution of corporate earnings may or may not be distributed to the individual shareholders, the lender should determine if the borrower received a cash distribution from the S corporation. A corporation is a state-chartered legal entity that exists separately and distinctly from its owners (who are called stockholders or shareholders). The distribution of profits earned by the business is determined by the owners of the corporation. However, the profits usually are filtered down to the owners in the form of dividends. Since a stockholder is not personally liable for the debts of the corporation, losses are limited to his or her individual investment in the corporation’s stock. For questions or comments, please contact me at Ingrid.quinn@cobaltmortgage.com or visit me at http://www.cobaltmortgage.com/ingridquinn. Categories: Documentation, Uncategorized | Tags: applying mortgage, arizona, cobalt mortgage, home buyer, home loan, homebuying, ingrid quinn, Mortgage, mortgage banker, paradise valley, phoenix, purchase home, real estate, scottsdale, scottsdale loan officer, selfemployed | Permalink. PMI vs MIP. What are the differences? Many homeowners pay it and many home buyers try to avoid it…mortgage insurance. You may be wondering, “What is mortgage insurance and why do I have to pay for it?” Conventional mortgages have private mortgage insurance (PMI) and FHA loans have what is termed mortgage insurance premium (MIP). Here’s more information on both and how they may affect your payments when you purchase a home or closing on a refinance. Private Mortgage Insurance (PMI)As part of the loan qualifications set out by Fannie Mae and most investors, a borrower is required to pay PMI when at least 20 percent of a home’s purchase price is not provided as a down payment. Private mortgage insurance is paid by the borrower, but it benefits the lender. It protects the lender against loss if a borrower defaults on a loan. PMI rates vary depending on down payment and FICO scores. You may find the annual premiums (divided by 12 to make monthly payments) on a minimum down payment conventional loan to run from 1.20% to .59% a year. Conventional loans also have a variety of ways to pay for the mortgage insurance. It can be paid in one lump sum, paid monthly only, or split in lump sum and monthly in one transaction. 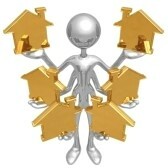 Mortgage insurance will also drop off automatically at a certain point in the loan life. You may have to get a mortgage that requires paying PMI, but it’s also possible to obtain more than one loan (Home equity loan/2nd mortgage) and avoid paying PMI. 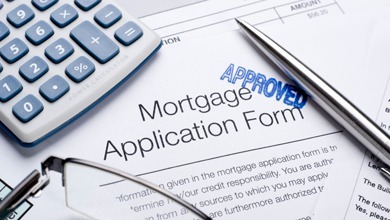 When obtaining a mortgage, it’s important that you find a loan that fits your specific situation and goals. Mortgage Insurance Premium (MIP)FHA guidelines allow for a small amount of cash down payment to close a loan. As a result, all borrowers must pay a MIP to insure the lender against loss if the homeowner defaults on the mortgage. While there are ways to avoid PMI with conventional loans, there is no way to avoid MIP on FHA loans because that is how the program is set up. The MIP has increased in the last 3 years, on 4 occasions to a current level for 30 year mortgages of 1.75% in an upfront premium financed on top of the loan and an annual premium of 1.35% a year with the minimum required down payment. The annual premiums can vary depending on down payment and the term of the loan (30 year vs 15 year loans). MIP has also undergone a significant change in that the mortgage insurance premium will stay on for the life of the loan no matter how much equity the owner has in the property. It is important to explore the differences between Conventional and FHA loans because the mortgage insurance has a significant impact on your monthly payments. 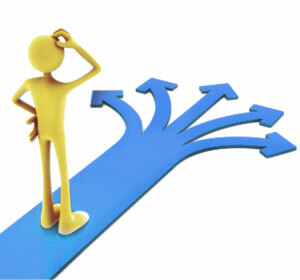 It is important to find a knowledgeable loan officer that can explain your options to you. Categories: Loans | Tags: applying mortgage, arizona, cobalt mortgage, first time buyer, home loan, home purchase, ingrid quinn, MIP, Mortgage, mortgage banker, Mortgage insurance, paradise valley, phoenix, phoenix. cavecreek, PMI, real estate, scottsdale, scottsdale loan officer | Permalink. Recently, I have had clients who are hourly wage earners and new to their current job. I decided that maybe touching on the subject of regular wage earning income documentation might be appropriate to discuss. Underwriting guidelines require a two year job history. If you have a set salary then we simply divide that number by 12 to determine your monthly income. If you get paid an hourly wage, we ask for verification of hours worked. This is so that we may determine your monthly income based on current pay and average hours worked. If the hours you work in a week can be verified via pay stubs and those hours are constant week after week, then we will take your current hourly pay and your set number of hours to determine your monthly income. On the other hand, if your hours fluctuate from week to week, then we will need to collect information from your employer to determine your average hours worked in a week. From there we can once again determine and verify your average monthly income for the past two years. If there have been job changes during the past two years, we will verify a few things, such as, if you are making a lateral move or if you are moving to improve your position. It is important for you to stay in the same/similar line of work or that you at least have experience/education in that job line and the experience/education must be documented. Some people have obtained the training/education for a specific job, but work a job that doesn’t correlate until a position is open. If you change employers we are required to show 30 days of income on your new pay stubs. There are different stipulations for commission, bonus and overtime income. These types of income will be averaged over the past two year because it is income that is based on performance. This will be verified with your current employer that it is likely to continue. 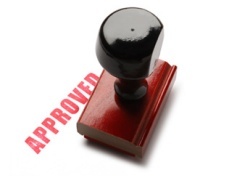 Above all else you should speak to your lender and be forthcoming with them. They will ask you for all of this documentation. We want to get you the best loan possible. If you have any questions or comments please feel to email me at Ingrid.quinn@cobaltmortgage.com or visit me at http://www.Scottsdalemortgageexpert.com or http://www.cobaltmortgage.com/ingridquinn. Categories: Documentation | Tags: applying mortgage, buying a home, cobalt mortgage, cost to buy, home buyer, home loan, home mortgage, home purhcase, hourly wage, ingrid quinn, Mortgage, mortgage banker, phoenix. cavecreek, salary, scottsdale, taxes | Permalink. So where is this bad information coming from? Media, banks, mom & dad, professionals in your life? Getting a loan is not that hard. You need decent credit (not super excellent), a job, and cash for a down payment and closing costs potentially, depending on the type of financing you are eligible for. Many times the clients I talk to are referred from agents that were supposed to take the client out to look at a rental. If they can afford an $800-$3500 rent payment for example, they may be able to buy a home. It is important for the consumer to get re-educated on the market today when they are looking to make any kind of move, renting or purchasing, so they know their options and have a plan in place. Many people are surprised when I tell them you can qualify to purchase now. With the market improving and interest rates at historic lows still, now is a great time to buy a home! If you have any questions or comments, I would love to hear from you. I can be reached at Ingrid.quinn@cobaltmortgage.com or http://www.scottsdalemortgageexpert.com or http://www.cobaltmortgage.com/ingridquinn. Categories: Loans | Tags: applying mortgage, arizona, Closing Costs, cobalt mortgage, cost to buy, down payment, FHA, fico, first time buyer, HARP, home buyer, home loan, Home Loans, home mortgage, home purchase, homebuying, homepath, HUD program, ingrid quinn, loans, Mortgage, mortgage banker, motrgage, paradisevalley mortgage, purchase home, real estate, rent vs own, scottsdale, scottsdale loan officer, scottsdale mortgage, USDA, va | Permalink.